Chi Vu is an award-winning writer and director whose works span genres such as the postcolonial gothic, horror, magic-realism and comedy. Her plays include the critically acclaimed ‘Coloured Aliens’, ‘Vietnam: a Psychic Guide’, ‘The Dead Twin’ and ‘A Story of Soil’. 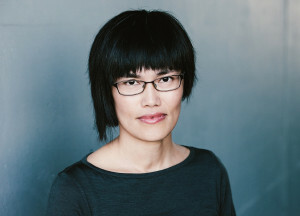 Her prose works have appeared in various publications, including ‘Joyful Strains’, ‘Growing Up Asian in Australia’ and the ‘Macquarie PEN Anthology of Australian Literature’ (also published as ‘The Literature of Australia’). Chi’s novella ‘Anguli Ma: a Gothic Tale’ was shortlisted in the NSW Premier’s Literary Awards. She teaches creative writing in Geelong (Victoria).